Hey everyone! Following on from our popular Slaydies Series Spotlights we have another in store, Linzi is a player I met at the Viper Titanium Launch at Landwarrior Airsoft in April 2015! Since then we have played a few Skirmish days together and I can honestly say this lass plays to win! 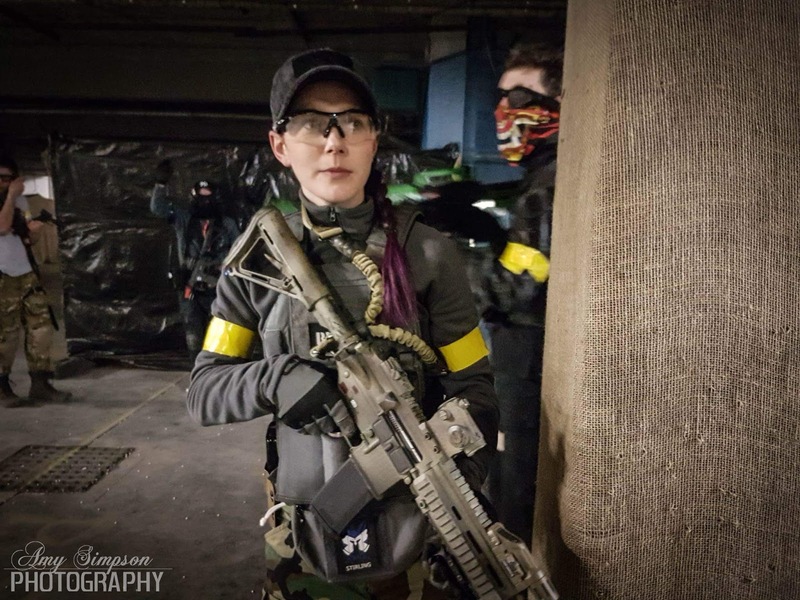 Hi Linzi, thanks for taking part in the Femme Fatale Airsoft Slaydies Series Spotlights! Can you tell my readers a little bit about yourself? Hey guys!! My name's Linzi, I am 26 years old and from Glasgow. After years of studying, I am now an accountant and have been working in accounting for 2 years. I also have an awesome 8 year old son! I have been Airsofting now for around 5 years but it really doesn’t seem that long! My brother got me into Airsoft, I had played a few games of paintball and enjoyed it but it was incredibly expensive. 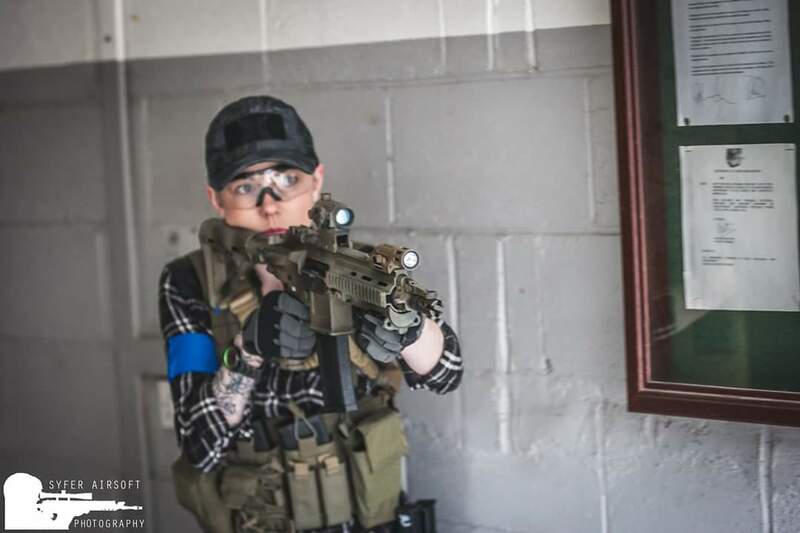 He invited me along to an Airsoft game day, after the first game I was hooked and never looked back. In typical Glasgow style, I love the banter!! I have always been a tomboy and felt more comfortable with the guys, I have never left a game day unhappy, I have always had a fantastic day and laughed … A LOT. It’s so much fun and I have made so many great friends. It also gets me off my backside on a Sunday to socialise and do some exercise at the same time. 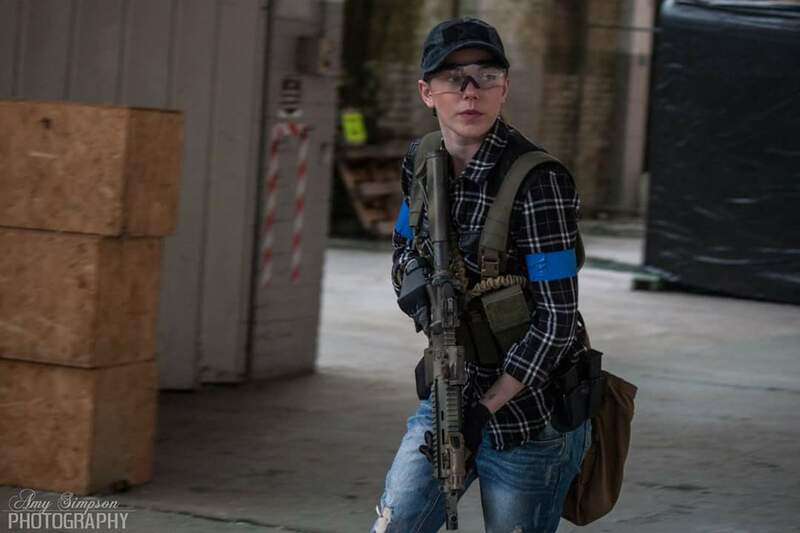 Depending on my childcare it would either be Airsoft Edinburgh or The Depot (Glasgow). My most memorable would be Catterick, run by the Stirling Airsoft guys, my favourite being Scotland v England. I also really enjoyed playing at the Mall in Reading which is quite unique. I haven’t had much of a chance to travel around but that is now changing! Next year will be full of road trips. I am in no way “operator” - I like to have fun!! I like to be sneaky when I can but to be perfectly honest I just get stuck in, usually getting hit in the process. Weapons and Loadouts, talk us through them! 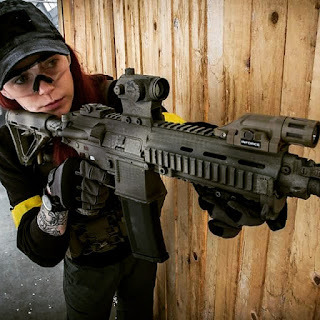 Being a woman in Airsoft: What are your experiences? Being a woman in Airsoft was a little tough in the beginning, I received many sexist comments. Once people got to know me as a person and realised women can actually enjoy the sport as well that all changed. Other than that I don’t really have much else to say, as a woman that plays Airsoft I am just another player, accepted the same as everyone else. I always feel included and part of the team. I just wish more women played because fart jokes get really boring after a while! Do you have anything you'd like to say to other players? Have fun!!! It’s only a game at the end of the day. Chill out, have a laugh and go with the flow. Oh and if you haven’t tried it give it a go, you will love it!! !